Essie - shows a definite pink shimmer in the bottle which you don't see on the nail unless you hurt your eyes squinting! 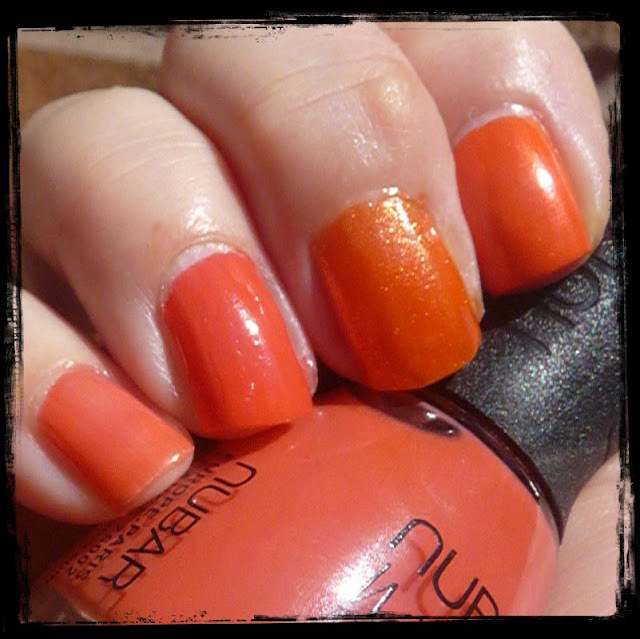 Am pretty sure coral is a shade that suits everyone. Would you agree? Do you dislike it? Have you a favourite? I long to get RBL Starfish Patrick. Mainly for the name! I love those polishes lined up on your keyboard.... 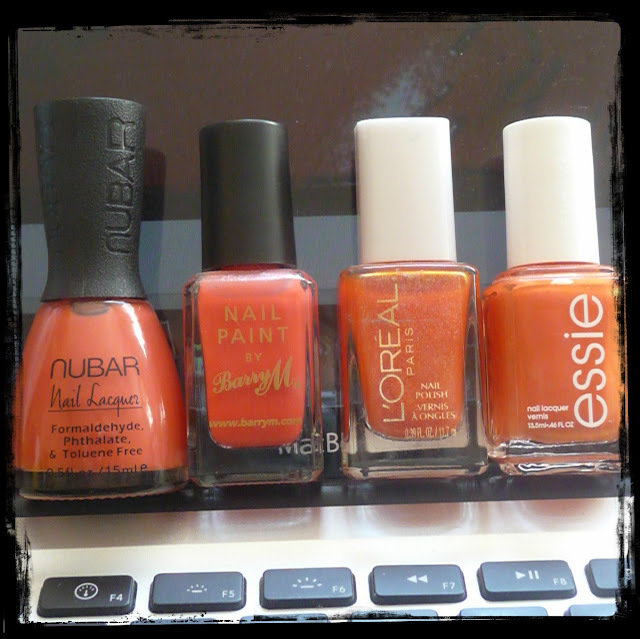 Yes, love coral, orange not so good for me so coral is the friendly face of organge I like to think..